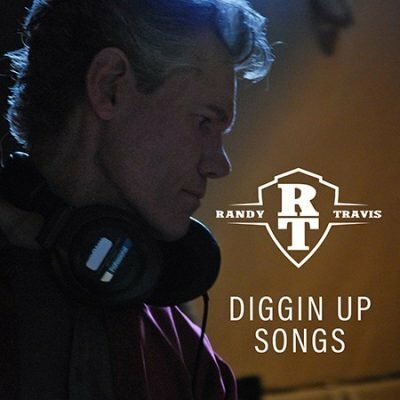 Randy Travis’ next round of songs on his Diggin’ Up Songs Spotify playlist premiered exclusively with Taste of Country yesterday. The playlist can be streamed here. Diggin’ Up Songs new music spotlight is a multi-faceted digital campaign across Spotify, Twitter, Facebook and RandyTravis.com highlighting music curated by Randy Travis himself. Five more songs will be added to the playlist on Monday, April 16. Country Music Hall of Fame member Randy Travis has long since marked his spot in music history as one of the truly timeless country icons. Now, he is putting his years of experience and golden ear to good use by shining a spotlight on new music he believes in and enjoys listening to. With lifetime sales in excess of 25 million, Randy Travis is one of the biggest multi-genre record sellers of all time and a recent inductee into the Country Music Hall of Fame class of 2016. His honors include seven Grammy Awards, 10 Academy of Country Music statuettes, 10 American Music Awards, two People’s Choice awards, seven Music City News awards, eight Dove Awards from the Gospel Music Association and five Country Music Association honors. In addition, three of his performances earned CMA Song of the Year honors, “On the Other Hand” (1986), “Forever and Ever Amen” (1987) and “Three Wooden Crosses” (2002). To date, he has 18 No. 1 singles, 29 top-10 smashes and more than 40 appearances in feature films and television shows to his credit. Ten of his albums are Gold Records. Eight are Platinum. Two have gone Double Platinum. One is Triple Platinum and another is Quintuple Platinum. In 2004, Randy was honored with his own star in the Hollywood Walk of Fame and is honored on the Music City Walk of Fame in Nashville, TN. He has been a member of the cast of the Grand Ole Opry since 1986. Since his near fatal stroke in 2013, with the help of his wife Mary and rigorous physical therapy, Randy continues to make improvements in his speaking, walking, and yes, singing. For more information please visit www.randytravis.com. Find the most current Cody Jinks tour dates from our partners at Country Music On Tour, your trusted country concert ticket source! Country Music News Blog participates in advertising programs that help fund the operation of this site. For more information please visit our privacy statement. This entry was posted in Cody Jinks, New Music, Press Releases by Shauna "WhiskeyChick" Castorena. Bookmark the permalink.